After Multi Jet Fusion PA12 and Flexible Plastic PEBA, we are here to bring you another good news. This time, a new metal 3D printing material is available at our online 3D printing service: Binder Jetting Stainless Steel 316. Curious about this new material, its benefits, its applications and the design guidelines to successfully 3D print your parts? Discover all the information you need to know about our brand-new Binder Jetting Stainless Steel 316. Our Binder Jetting Stainless Steel 316 is available for all! Our new material is composed of a 316 Stainless Steel alloy and has good mechanical properties. 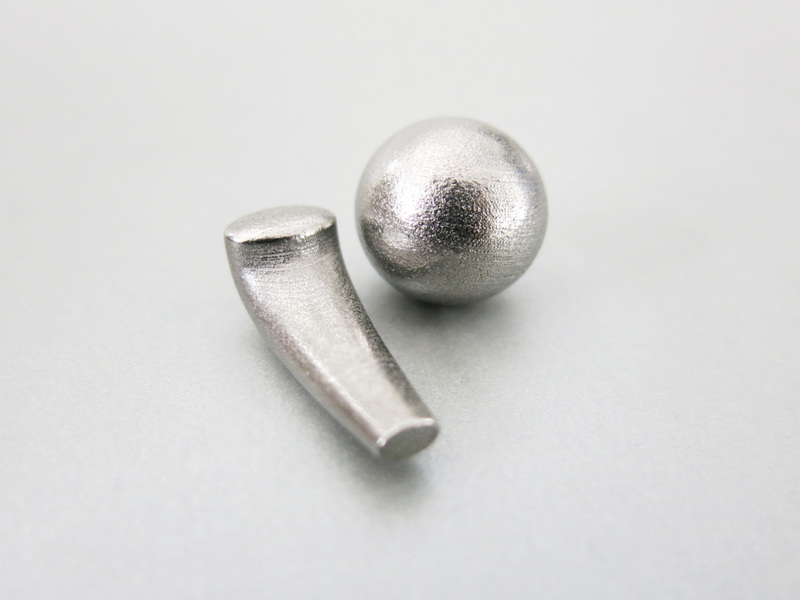 Using the Binder Jetting technology, Stainless Steel 316 is a perfect metal material to 3D print small-size parts. 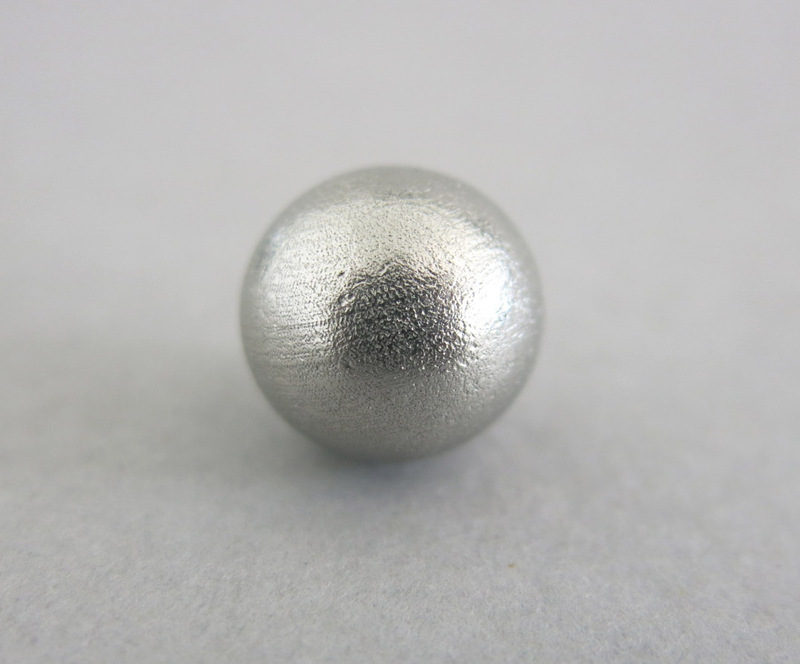 According to the State of 3D Printing, complexity (9%) is one of the objectives of using metal 3D printing, therefore, if you are looking for a material that can handle complex shapes, Binder Jetting Stainless Steel 316 can be the perfect choice for you. 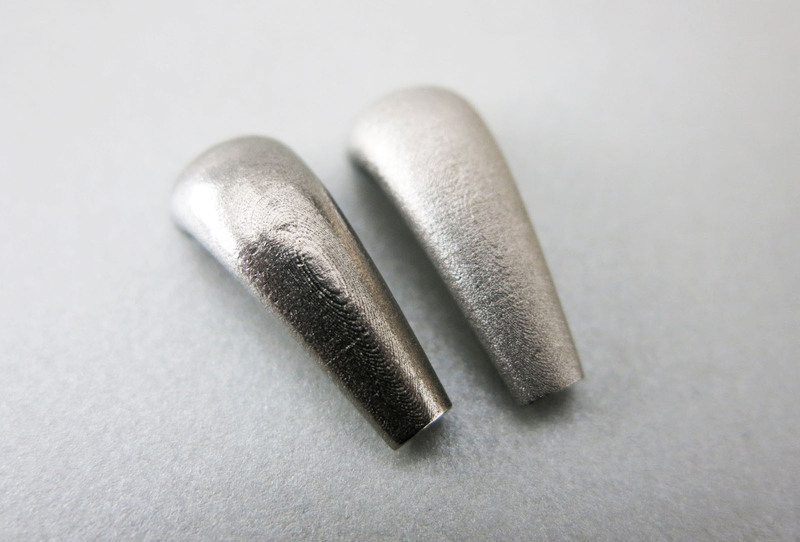 There are two finishing options available at our online 3D printing service: Raw and Polished. Your object with a raw finish will be sandblasted but not polished. Thus, the surface has a granular aspect and remains a bit rough. Moreover, you can obtain a smooth and shinier surface with the polishing option, but layers will still be visible, particularly on rounded objects. By the moment you upload your 3D file on our site, our platform calculates the cost of your 3D print automatically. Benefit from our 3D printing software tools such as hollowing, batch control, and the other software tools which can help reduce the cost of your 3D printing and optimize your parts. 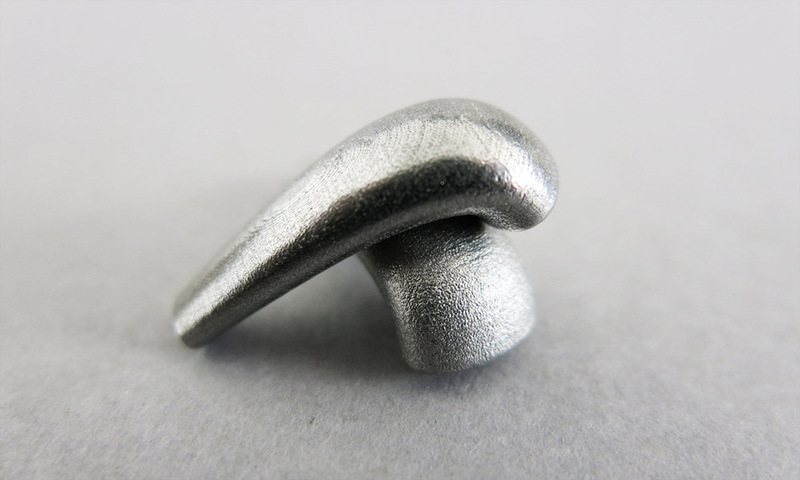 3D printed parts with Stainless Steel 316 can be shipped worldwide, in approximately 16 days. The polishing option may need an extended processing time between 2-3 days on average. Compared to the other metal 3D printing technologies, the Binder Jetting technology is known to be a less expensive 3D printing metal. Since it has a strong resistance to corrosion and high-temperature resistance, Stainless Steel 316 material is a great material for molds, tooling and injection molding or to create strong parts that can be used for the consumer goods field. We use the M-Flex 3D printer to 3D print your parts.This printer allows to print with a layer thickness of 100 µm (0.004 in). It can 3D print with an accuracy of ± 2% for parts below 7.62 cm (3 in) and ± 3% for parts above this dimension. Learn more about the design guidelines and the technical specifications of our new Stainless Steel 316 material. Have you tried 3D print your objects using Stainless Steel 420SS/BR? This material is composed of 60% of Stainless Steel and 40% of Bronze. 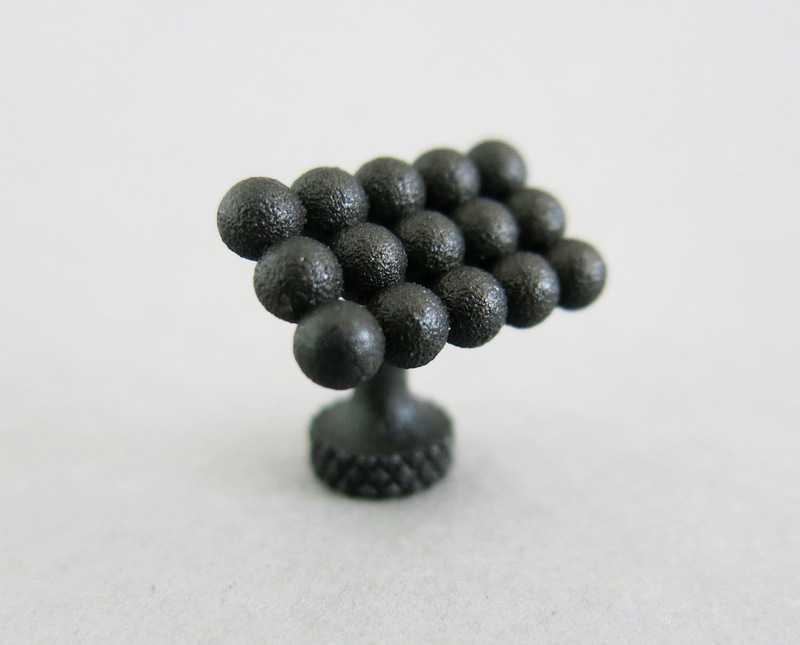 Using the infiltration process which adds strength and resistance, it is a perfect metal 3D printing material for decorative objects and jewelry. Now, 3D printing your objects with Stainless Steel 420SS/BR can be more interesting with the newest finish available: Damascus allows you to obtain a black metal 3D printed part. Discover more about this new black Damascus finish in our Stainless Steel 420 SS/BR material page. Upload your file now and experience metal 3D printing with Binder Jetting Stainless Steel 316! Keep up to date and subscribe to our weekly newsletter to get more updates about new 3D printing materials, metal 3D Printing, online 3D printing software tools and other news related to the 3D printing universe!